The US-Pakistan relationship remains challenging for both despite the reopening of Pakistani land routes to resupply US troops in Afghanistan, US secretary of state Hillary Clinton said yesterday. Mrs Clinton last week apologised for a November Nato air strike that killed 24 Pakistani soldiers, and Islamabad responded by reopening overland supply routes crucial to the US-led war in Afghanistan. The supply-route deal removed one headache, but relations are likely to remain strained by other differences. 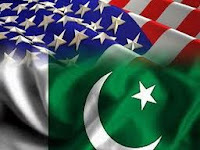 These include Pakistan’s opposition to US drone strikes against militants on Pakistani territory and Washington’s allegations that Islamabad condones, or even assists, anti-American militants.